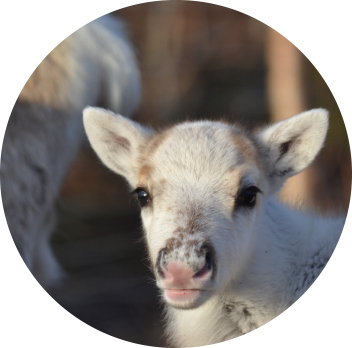 Be our guest among our precious reindeer herd and take this unique opportunity of watching newborn reindeer calves taking their first steps! Mon – Fri, 6 – 31 May 2019. A lovely day visit venue in Jukkasjärvi. 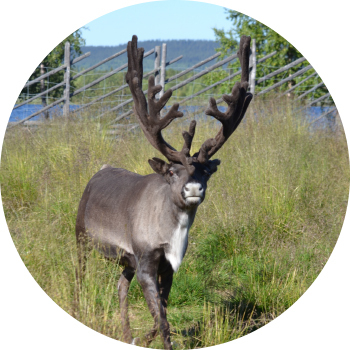 Hand-feed our reindeer, visit exhibitions, look at modern art and taste traditional Sámi food. Open daily during summer, autumn and winter. 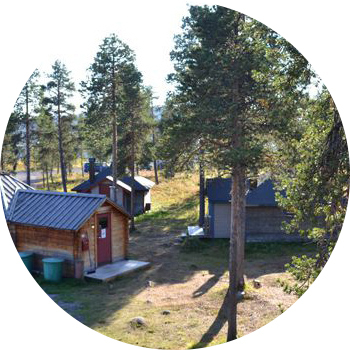 Reindeer Lodge is a self-cater summer cabin accommodation close to Jukkasjärvi and Kiruna. Enjoy the remote location in the woods at river Torne, hot sauna and the silence that rules supreme. Experience the winter nature of Swedish Lapland in the best possible way by joining activities linked to the indigenous Sámi culture. 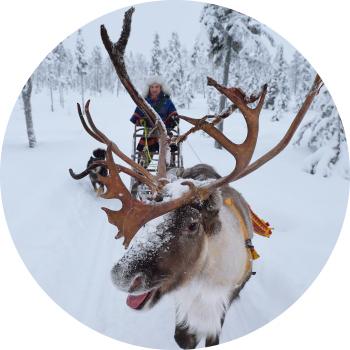 Reindeer sledding and an exclusive package solution are available.